Most Texans are aware of the devastation that occurred recently in Wimberley during massive flooding. 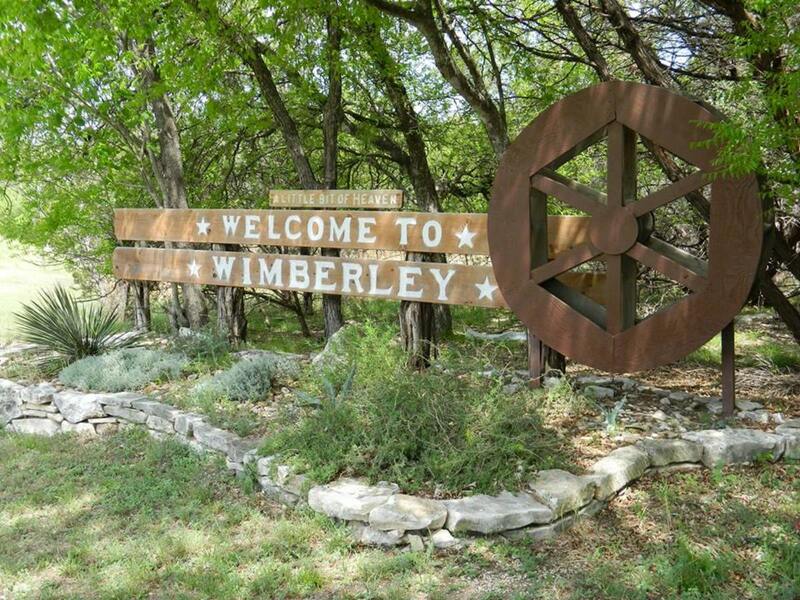 But as one of the state’s favorite summer and weekend getaways, Wimberley is open for business and ready for guests. 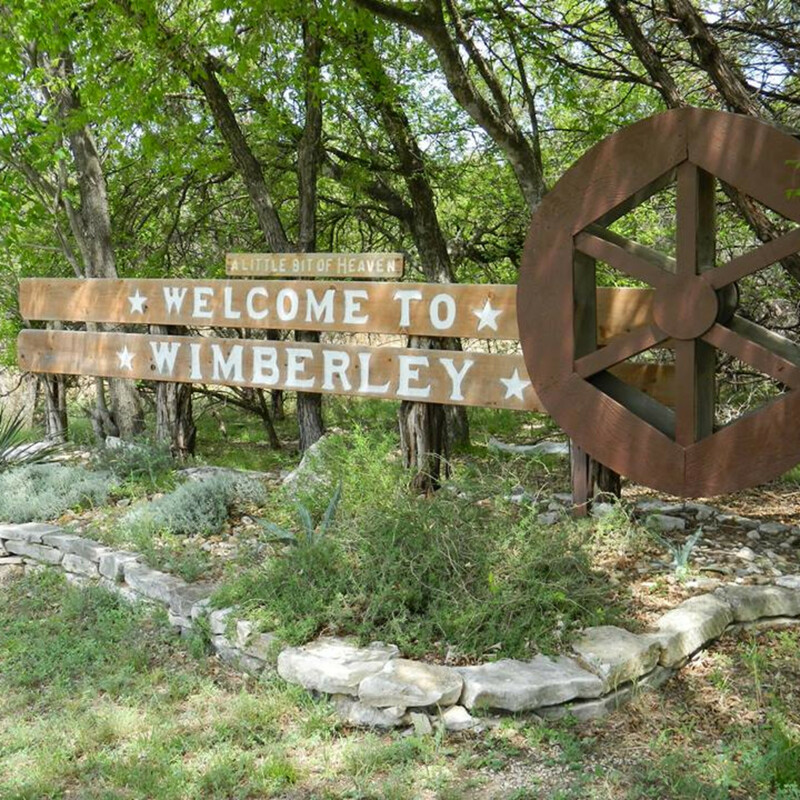 The Chamber of Commerce says that the community has rallied after Wimberley experienced devastating loss and destruction during the Memorial weekend flood. Although the damage is heart-breaking, most has been restricted to residential areas. Iconic Wimberley treasures — including Blue Hole, Jacob’s Well and Old Baldy — were not damaged, and the cultural amenities that make Wimberley a mecca for tourism continue to shine. 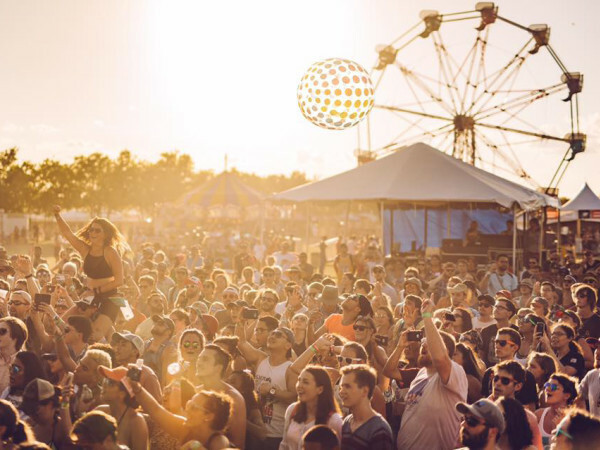 Here are some of the perennially popular things to do in the area, as well as new goings-on. Increasingly, the wineries of the Wimberley Valley and surrounding areas are producing fine, award-winning selections that are attracting accolades far and wide. The soil, clear streams and semi-arid climate create the perfect conditions for many grapes. At Bella Vista Ranch, the focus is not only on wines, but also olives. The ranch grows its own grapes and olives, providing visitors with an intimate view of the wine and olive oil making processes. Enjoy a guided tour of the ranch and traverse the olive orchard, the vineyard or the berry patch during harvest season. Tours wrap up at Bella Vista’s Tuscan-inspired tasting room where guests can kick back and sip a glass of wine. Check out Duchman Family Winery in Driftwood, rated one of the top wine destinations in Texas and named one of the 20 most picturesque wineries in the country by HGTV. Winemakers Dave Reilly and Mark Penna produce Italian grape varieties to create food-friendly fine wine. The tasting room is open daily, and private tours are available for groups of all sizes. Driftwood Estate Winery has more of a California-cool vibe, sitting on the edge of an escarpment overlooking 14 acres of vines that create a canopy of lush greenery when they are in full bloom. The tasting room is open daily, and guests can try any six wines listed on the tasting sheet for $12. Wimberley is also popular with art lovers. The art scene here began with one historic figure, Buck Winn. 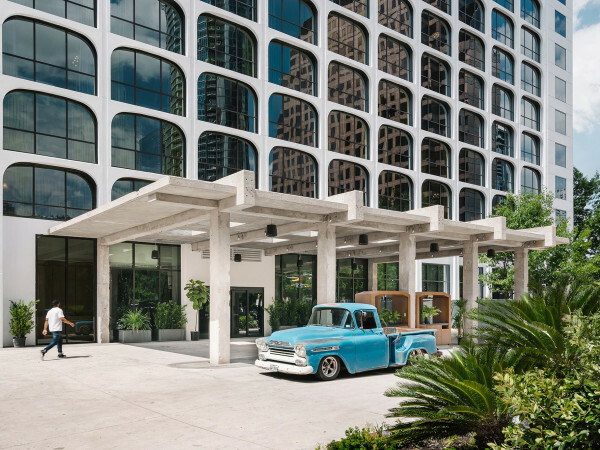 Winn is best known as one of the “Dallas 9,” a Depression-era group of Texas artists who provided numerous public art projects and influenced the generation that followed. Critics and historians continue to define and discuss the prolific body of work left by this artist and inventor nearly 30 years after his death. Today, Wimberley is home to many fine artists and features plenty of interesting galleries. Many are located on the Wimberley Square, like Pitzer’s Fine Art, a unique art experience that includes paintings, sculpture and photography. 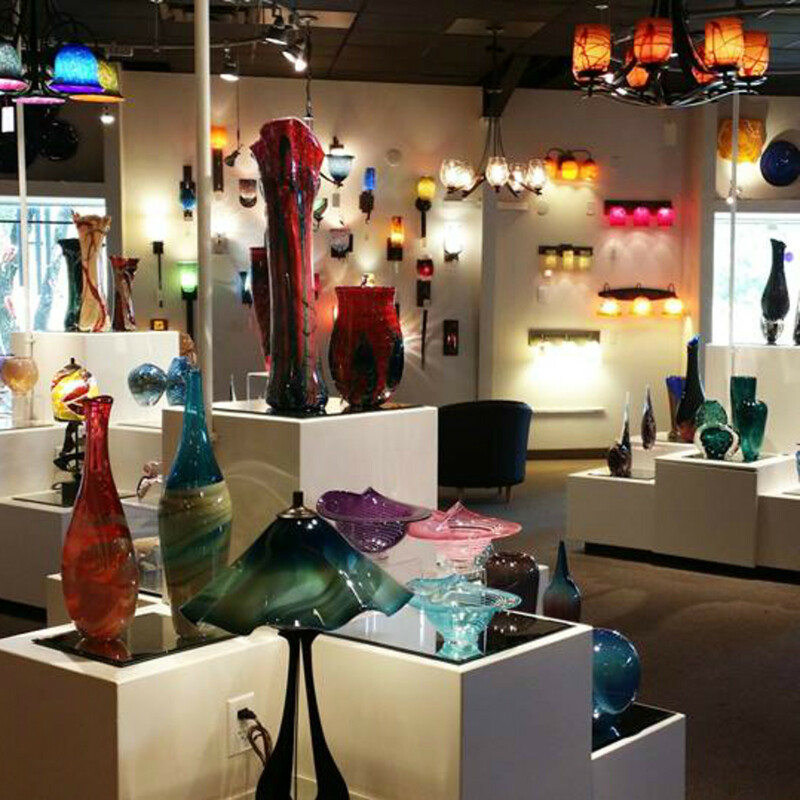 Gallery on the Square offers an eclectic array of work, from paintings to sculpture to jewelry and glass art; it even includes some “furniture as art” offerings. 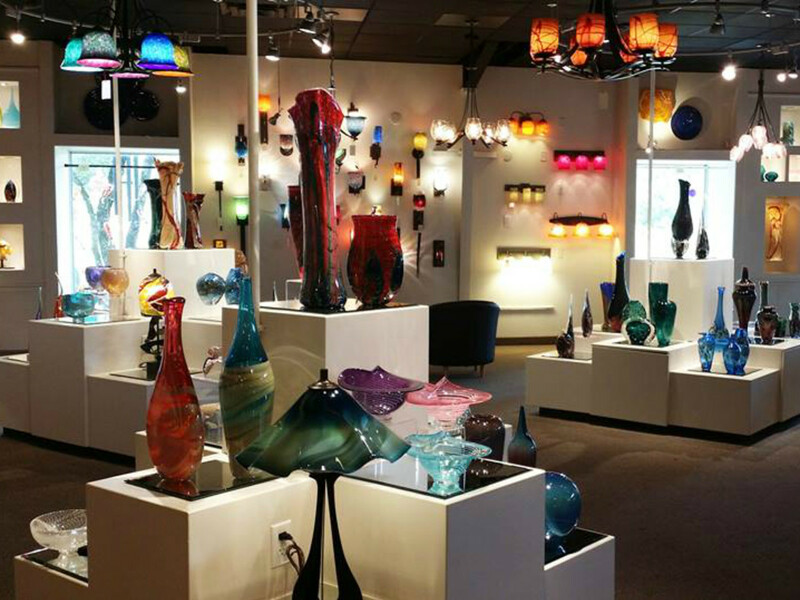 Wimberley Glassworks creates some of the finest hand-blown art glass in the nation. Art on 12 is a fun gallery and studio collective featuring more than three dozen artists. If you're in town on the second Saturday of a month, don't miss the Second Saturday Gallery Trail, where numerous galleries participate in an evening of food, drink, entertainment and art. Go to any participating gallery, pick up a map and make a night of it. The natural setting is one of the big draws of Wimberley, and the Hill Country locale offers plenty of ways to get out in nature and cool off during hot Texas summers. 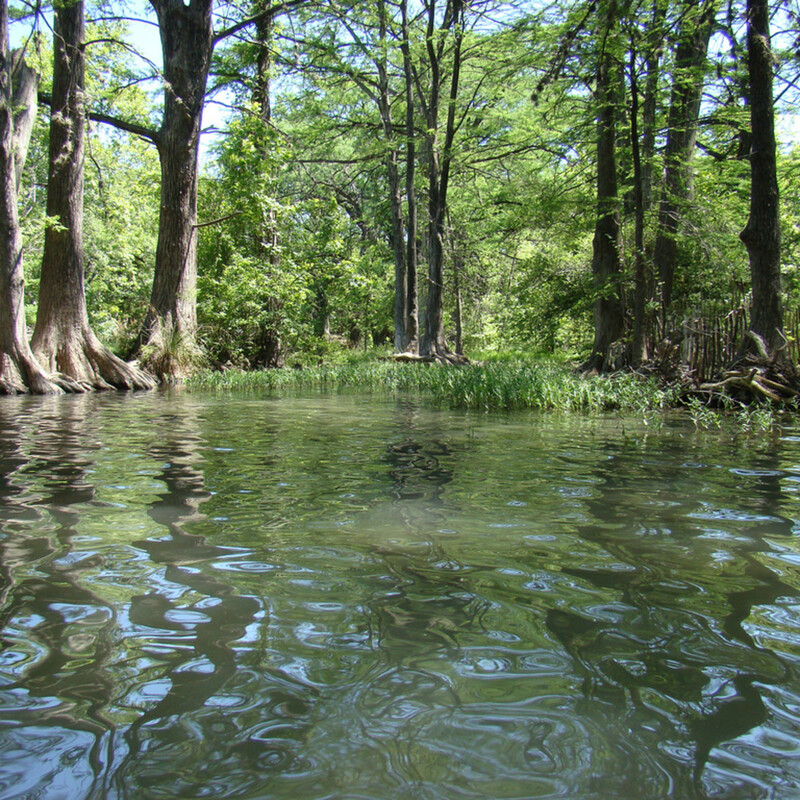 Blue Hole is consistently ranked one of the best swimming spots in the state, with cool spring-fed waters surrounded by ancient cypress trees. It's open daily through Labor Day. For hiking, head over to Cypress Creek Nature Trail. 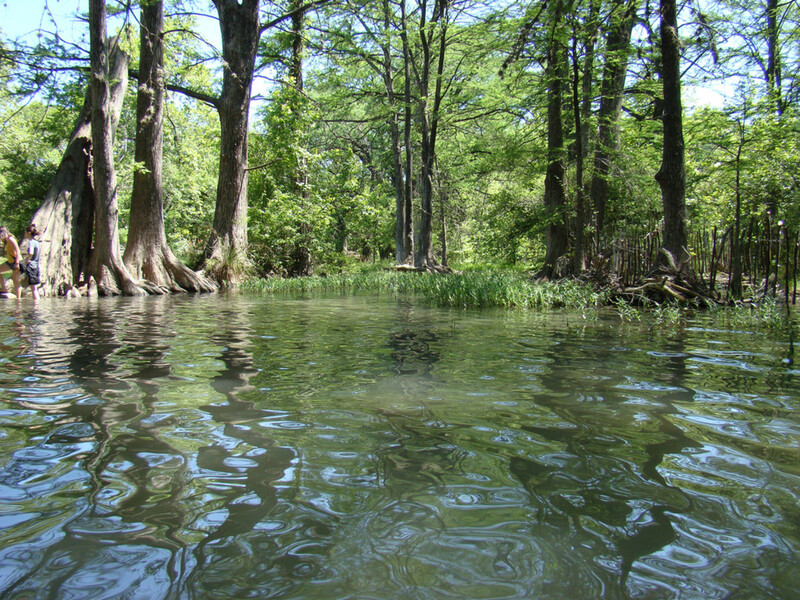 Virgin Central Texas “bottomland” unfolds beside a crystal creek that babbles over rocks and slips down tiny waterfalls. Natural fauna, native birds and wildlife can all be spotted here, and because it is adjacent to Blue Hole, it's easy to swing over and take a dip when the hiking is done. There are also picnic facilities, a water feature, children's playscape, pavilion and public restrooms. Mount Baldy, also known as Prayer Mountain, is located just outside Wimberley in the Eagle Rock subdivision. Steps lead up to one of the most amazing panoramic views of the Wimberley Valley. A significant Save Old Baldy initiative resulted in the City of Wimberley's buying the property and restoring it as a municipal park open to the public. Another extremely popular swimming hole is Jacob's Well Preserve, considered by many to be the most beautiful in Central Texas. It's also a geological wonder, with a stunning and distinctive formation. Fourth of July weekend was a big one in Wimberley as guests enjoyed the July Jubilee. There are also movie nights, farmers markets, live music, Artist Saturdays and many other events taking place throughout the summer. Check the events calendar to see what is happening on any given day. The Sage Hill Inn Above Onion Creek is a perfect Hill Country retreat minutes away from Wimberley. 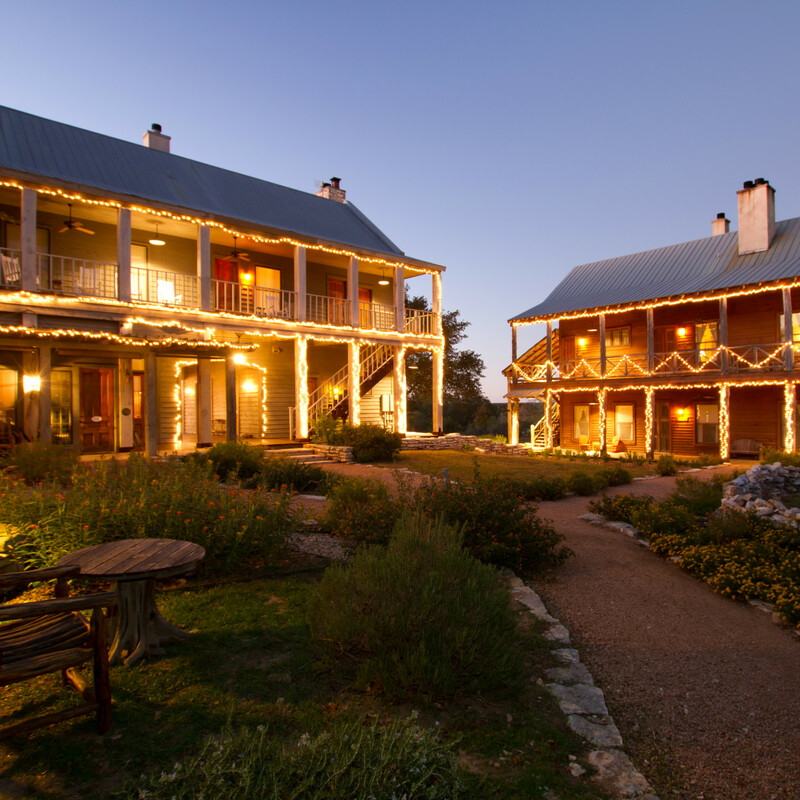 The inn sits atop a hill on 88 acres above Onion Creek and features sweeping views. 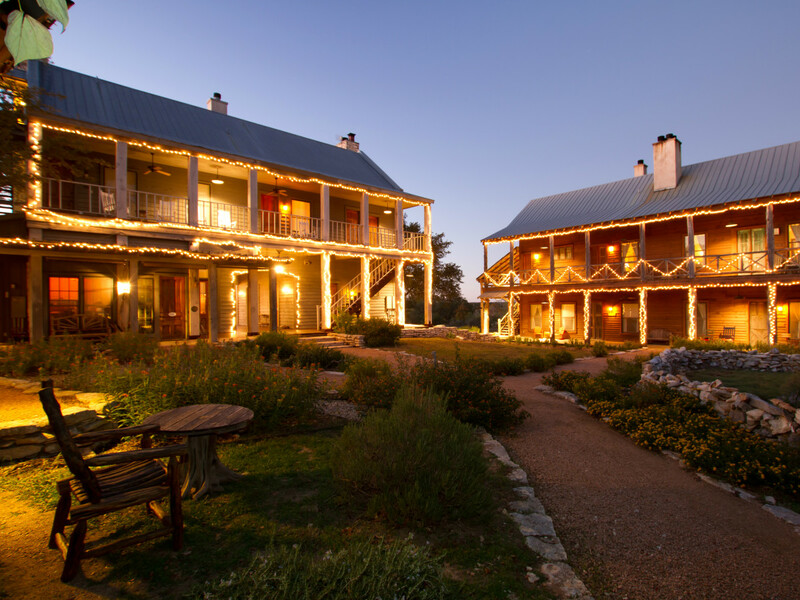 There are also many accommodations in and around Wimberley, ranging from inns to river cabins, ranches and lodges. 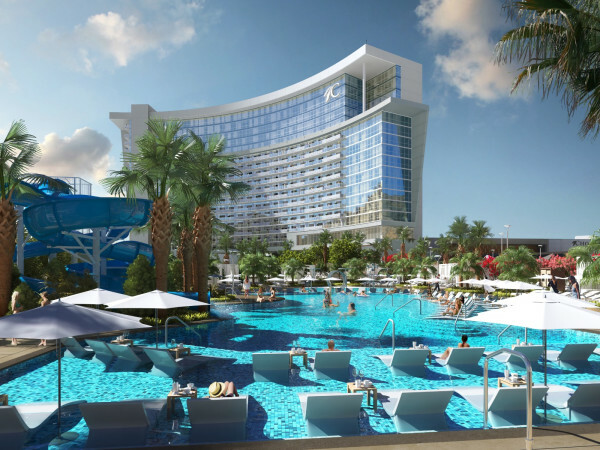 Check out Hills of Texas Lodging to search available properties.